Where did you come from and how you got to where you are? I started any sort of foray into the world of automotive journalism with this video. It is not good by any means. It is vacation time. My family, extended family, and in laws had the plan to go to Disney World. Everyone else takes a plane, but we decided to take a Disney Road Trip. Many cars are a victim of the time period in which they are born. It’s best described as an in-between period where new technologies are just starting to become standard and manufacturers have to decide if this new car model will get the new tech or stick with the old tech. 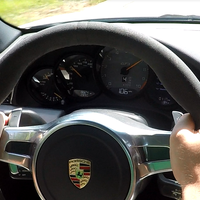 Hitting every apex in a 911 GT3 ... Did I miss any? If you have followed any of my recent writing you will know I put out two significant articles about my BMW E92 M3. The first was the road to purchasing it and the second when I had severe engine failure. Well I also had another small issue occur; the increased battery discharge error message.